The House Democrats proposed a budget that funds education but does so through a host of new taxation proposals aimed at property owners and businesses. Here is a brief rundown of the taxes that would affect our industry. Capital gains income tax would be based on federally-reported capital gains income from stocks, bonds, multi-family investment property, commercial property and other capital assets. 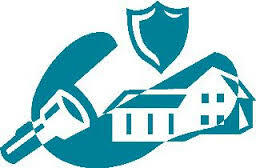 Retirement accounts, pensions, and single-family homes, and other capital assets would be exempt. The state capital gains income tax would still apply to capital gains for which federal capital gains ta liability is deferred under a §1031 exchange. The B&O tax rate on services and a number of other B&O tax classifications would be increased from 1/5% to 1/8%. The small business B&O tax credit threshold would be increased to $250,000 – meaning that businesses with gross receipts less than $250,000 would NOT be subject to B&O tax. Businesses with taxable revenue between $250,000 and $500,000 would receive a B&O tax credit on the first $100,000 in otherwise taxable income. Based on 2015 WDOR B&O tax payments from real estate brokerage firms, a B&O increase from 1.5% to 1.8% would mean a tax increase of about $14 million/year. WCAR is celebrating Private Property Rights Week. We are scheduling a series of evening events designed to educated Whatcom County citizens on various property rights issues, including water, zoning, permitting, etc. and a high school student essay contest. There will be opportunities to help sponsor these events, so please contact the office if you are interested in getting involved. The Happy Valley Neighborhood has requested our assistance as they plan for increased density in their neighborhood. The neighborhood secured a grant from the Whatcom Community Foundation to conduct both the Neighborhood Movie Night and the community planning workshop. It will be an informative and interesting event. Although the event is free, registration is required. You may register at sustainableconnections.org. The links above provides access to resources discussing some cautions as well as proper protocols for dealing with criminal histories when making housing related decisions. The U.S. Department of Housing and Urban Development (“HUD”) urges housing providers to exercise caution and further explains why this caution is both necessary and something to take seriously. There is a lot of information here to take your time and read through it all carefully! Fannie Mae and Freddie Mac are once again being eyed by Congress as a “cash cow” to fund programs unrelated to housing. For this reason, the National Association of REALTORS® has issued a Call For Action urging Congress to stop raiding our mortgage guarantors. On Thursday, October 22, 2015, the House of Representatives Transportation and Infrastructure Committee began consideration on the surface transportation re-authorization legislation. One proposal would use Fannie Mae and Freddie Mac’s credit risk guarantee fees (g-fees) to fund transportation programs. What is a Guarantee Fee (G-Fee)? GSE guarantee fees are charged by Freddie Mac and Fannie Mae to lenders for bundling, selling, and guaranteeing the payment of principal and interest on their Mortgage Backed Securities. These fees are passed on to mortgage seekers by the lender and add to the cost of obtaining a mortgage. NAR strongly believes that taking g-fees would also prevent Fannie Mae and Freddie Mac from effectively managing their risk. There is also an “Association” element to this Call for Action. At present, Whatcom County Association is DEAD LAST in the participation rate! We are usually near the top of the participation rate, a factor I believe demonstrates our members’ commitment to REALTOR® issues. Please Click HERE to take action. -Testified before the Bellingham City Council on issues concerning annexation of land into the Bellingham City limits and the true development potential of the land being annexed (extensive wetlands, unstable slopes, hazardous liquid pipelines all within the property) and the need for the City to take a comprehensive, realistic look at this property to ensure we meet our housing needs. We have the best association in Washington state. I miss you all and look forward to returning to you as soon as possible! So proud to be a Realtor!! Recently, we hosted our annual golf tournament at the Sudden Valley Golf Course and thanks to all the participants, attendees and generous sponsors – the WCAR was able to present a $5000 check to Habitat for Humanity! These funds will help complete a home that is currently under construction on Haxton Way. There is a family of three with a little 7 year old that can hardly wait to move into their new home! A big thank you goes to everyone who helped make the golf tournament a success this year! RENTAL REGISTRATION BEGINS TODAY!!! The registration period for existing rentals runs between July 1, 2015 and August 1, 2015! A question that was asked and keeps coming up is, “Do I have to register if a Seller rents a home after closing?” The answer is no so long as the period of rental is less than 30 days. In “lease-to-own” situations, it looks as though those will need to be registered, however, I will verify that information with the City tomorrow. A group is forming in Bellingham to initiate a grass-roots challenge to the Bellingham rental inspections. Notably, they are working with tenants to challenge the City Government’s determination that warrant-less searches are necessary for all rental housing in Bellingham City Limits. They have met with a local law firm who is providing the legal expertise in this matter. I too will be meeting with the City tomorrow to discuss a significant flaw in the inspection process that implicates the right of privacy for tenant and, for landlords, the exercise of contract freedoms. This is a dynamic process that remains fluid still. Please continue to follow our efforts and, if you feel inclined, participate with the various organizations. If you have questions about the landlord/tenant group, contact our office and we will put you in touch with the organizers! As many of you who follow the Association know, there is a movement to implement a Capital Gains tax to help with Washington’s budget efforts. As was mentioned earlier, however, it looks like those efforts are waning, but we NEED YOUR HELP to finish it off once and for all! The proposal to create a new state capital gains tax continues to get support from the House budget leaders and Governor Inslee. While the capital gains income tax proposal could exclude income from certain gains from the sale of primary residential properties, the proposal could impact some residential properties as well as commercial properties and residential rental properties! This tax would have an enormous impact on our clients! Please click the link to tell our legislators “NO” on a capital gains tax on real estate! LINK: Capital Gains Tax – Call to Action! !